Steve Quinn is a Juneau freelance writer. By and large, the 1,400 residents of Metlakatla are thriving at the southern tip of the Alaska Peninsula — except that their language, Sm'algyax, is down to a handful of speakers, all of them older than 70. 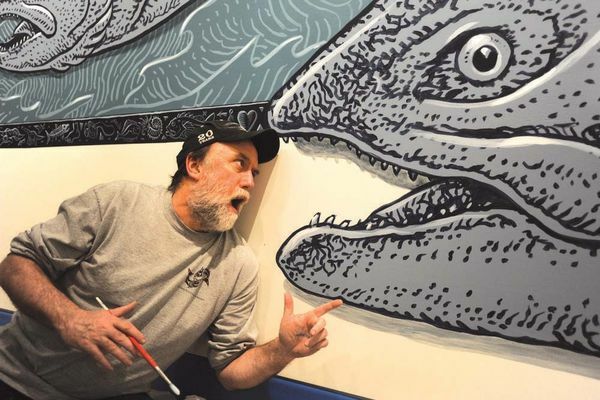 Quirky Ketchikan artist Ray Troll entertains as he educates in a "weird space" all his own. Breweries are sprouting across Alaska, in its biggest city and small villages. And beer production is following suit, up 27 percent in three years with no end in sight, with other operations on the drawing boards. The specter of the Mount Polley mine breach a year ago looms with five open-pit mines at various stages of completion in British Columbia -- mines located near rivers that flow into Alaska. 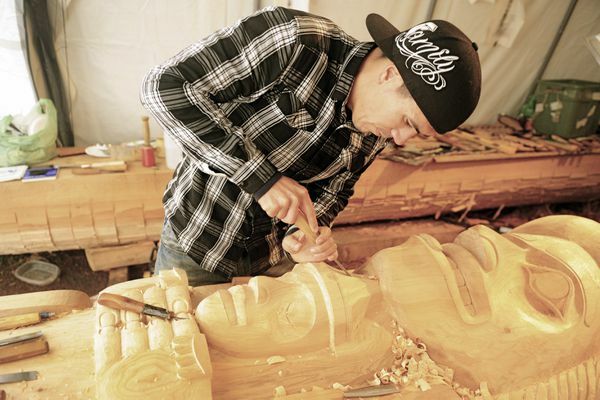 Southeast Alaska Tlingit artist Rico Worl opens doors for himself and fellow Native artists with his striking work on skateboards, skis and snowboards that's attracting notice nationwide. 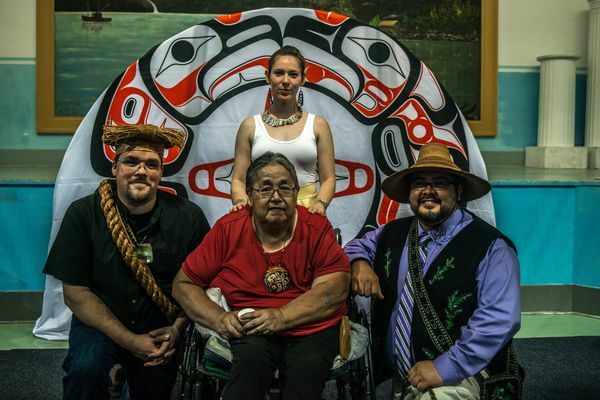 Hydaburgs T.J. and Joe Young are helping lead a revitalization of totem art, one pole at a time, in Southeast Alaska. 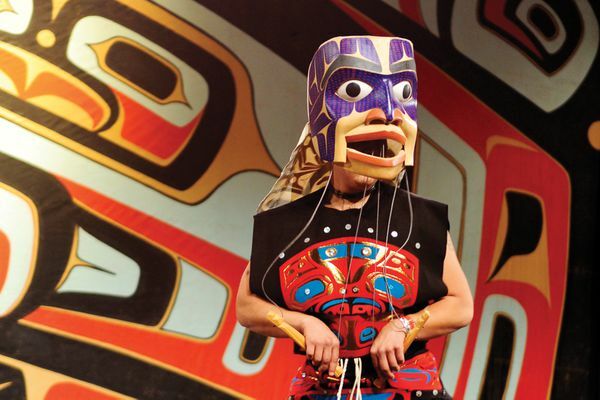 Fiercely proud of his Tsimshian heritage, artist David Boxley began closing a knowledge gap 30 years ago -- one performance and carving at a time. Alaska tribes claimed a second significant sovereignty victory within a year, this time with the Alaska Supreme Court.